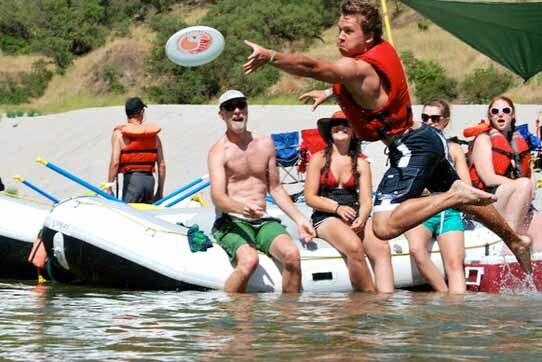 A Deschutes trip is the best overnight family rafting trip in the Pacific Northwest. An overnight rafting trip on the Deschutes River offers rapids, fishing opportunities, family fun and adventure, hiking, swimming, and more. The Deschutes River flows north toward the Columbia River from Warm Springs, Oregon to Heritage Landing State Park --- almost 100 miles of free flowing water. 7PM Appetizers, Dinner, and Dessert. 8AM Launch from Lower Whitehorse Campground. 11AM Stop to swim Buckskin Mary Rapid. 12PM Lunch stop at Buckskin Mary Campground. 2PM Wapinitia Rapids and Boxcar Rapids. 4PM Reach Takeout at Maupin City Park, Maupin, Oregon.